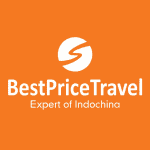 Established in 2010, BestPrice Travel is one of the leading travel companies in Indochina. We provide tours, hotel booking, flight booking and other travel services in Vietnam, Laos, Cambodia, Thailand & Myanmar with the Best Price Guarantee . We selectively cooperate with trusted partners including hoteliers, cruise lines and local suppliers to provide a perfect trip in Indochina for travelers at the lowest cost. Our Vision Our vision is to be a leading travel company in Asia which connects all local service providers in order to supply travelers with high quality and full-service touristic packages at best price, and benefiting all people around us: Customers We aim to keep on offering best travel services for our clients in order to provide them unique unforgettable experiences at the best price. Employees We want our employees to develop their potential fully and freely. That is why BestPrice Travel provide a comfortable and inspiring working environment. Partners Developing a networking in order to promote synergies, which create common and true value. Society We create true value for our customers means create true value for our society. By providing quality travel services, we contribute to get a better world, since we help to build bridges between countries and people. Provides a cost-effective commission based model, a network of most leading travel companies in Vietnam. Joining with us, we can help you grow your revenue and promote your brand. Our Core Values The core values of BestPrice Travel, as a benchmark company in the touristic industry, are focused on offering very high added-value services to our clients guaranteeing the best price and quality. In this way, our customers will be totally satisfied by choosing our services. In order to match the expectations of the travelers, even exceed them, we are based on the following core values: Best price guaranteed As our name states, the first commitment we have with our clients is saving your money by offering a wide range of packages, from standard to luxury, all of them at the best price. Besides saving your money, we will save your time as well, because you will not need to waste it looking for the best price; since BestPrice Travel provides it for you. Quality guaranteed BestPrice Travel is synonym of quality, because both, our personnel and our partners, we strive to provide you high quality services. We take very seriously the election of our partners, since they will convert you trip in an unforgettable experience. That is why, we cooperate with the best companies, including, hoteliers, cruisers and local suppliers in order to guarantee high quality at the best price. Reliable service - True value One of our main goals, is supplying our customers a better or equal experience than they expect, in other words, we want our clients to be fully satisfied. BestPrice Travel ensures, by the selection of the best partners, that the services we offer, provide you TRUE VALUE, AT THE BEST PRICE, and being fully RELIABLE at the same time. 24/7 on spot support Please remember, we will available for you during your whole trip (24 hours per day, 7 days per week), so you will not need being worried of the details of the trip: we will take care quickly and effectively. For anything you need, do not hesitate to contact our personnel: we will assist you as thoroughly as you require. Enthusiastic, professional Consultant If you demand a tailored assistance, do not hesitate to contact our English speaking personnel. In the case that you are looking for the perfect holidays that best matches your wishes, our staff will be delighted of advising and helping you, in order to provide you an unforgettable and complete experience. You can trust us for booking your holidays in Indochina; we are backed for the positive reviews of the people who have already travelled with us in addition to Certificate of Excellence by Tripadvisor and our PATA (Pacific Asia Travel Association) membership. Our Services Tour Packages Tailor-made Tours We provide tailor-made tours in Indochina for both individual and group with a wide range of tours, including gastronomic and well-being tours, beach stays and home stays width local poeple. Small Group Tours Based on a minimum of 2 people with full board accommodation. The number of participants of our seat-in-coach tours are limited in order to guarantee the excellence in quality of services. Hotel Bookings Offer various hotels in Vietnam, Lao, Cambodia, Thailand and Myanmar for online booking. Cruise Packages Offer various cruise packages from short cruises in Halong Bay to cross country cruises in Mekong river of Vietnam, Lao, Cambodia, Thailand and Myanmar. Flight Reservations Offer instant online reservation and payment for flight tickets from domestic arlines (Vietnam Airlines, Jetstar Pacific, Vietjet Air) and international airlines Vietnam (Thai Airways, Air Asia, Singapore Airline, Qatar Airways American Airlines, Emirates...). Visa, train tickets, transfer services Offer various travel services quickly and reliably, BestPrice commits to support our customers in every moment We are committed to offer our customers reliable services and true value at the best price.